The most stunning piece we have on our bookshelf. This is true to its description and worth every penny. 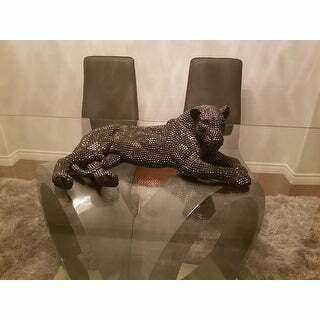 If you're looking to have a great conversation piece with a touch of luxury, this is the piece for you. It looks more expensive than it is. Came well padded and shipping was quick. 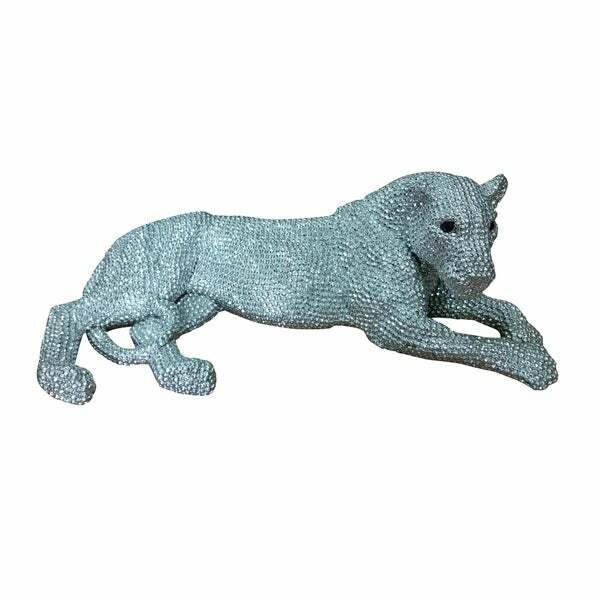 Majestic in nature, this realistic Panther statue, or Jaguar if you prefer, has a glitzy silver or classic black finish that will add dazzle to your place. Contemporary modern style. We are offering 1 year limited warranty (covered for any manufacturer's defect). We understand how important your home is and how decorating your kitchen, dining room or bedrooms with classy, contemporary furnishings can help make it a place that reflects who you are. We believe in the power modern furniture has in creating not just a home but YOUR home. We believe in feeling good about our home's environment, and we think you do too. Dimensions 26.0 In. X 13.0 In. X 9.0 In.